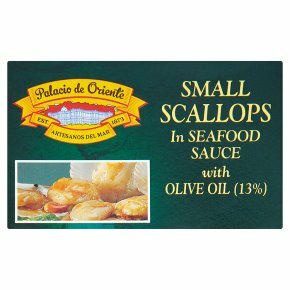 In olive oil.Scallops (without shells) cooked in a delicious seafood sauce. Enjoy as an authentic Spanish Tapas dish, either cold or gently heated. Serve with a salad or rice.